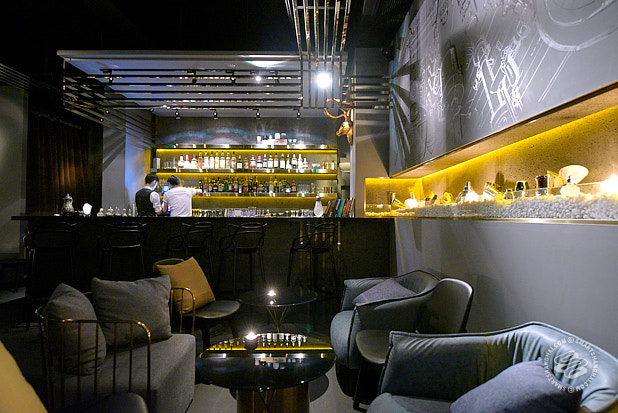 On The Radar is a weekly SmartShanghai column where we profile 2-3 new venues that you might like to know about. Here are the facts and our first impressions. What is it: A God-send greasy fingers burger joint to the expats of Beijing, it took a minute for the Cali chain to open Shanghai outlets but they finally have. Two: one in Pudong and one in the Sinan Mansions. 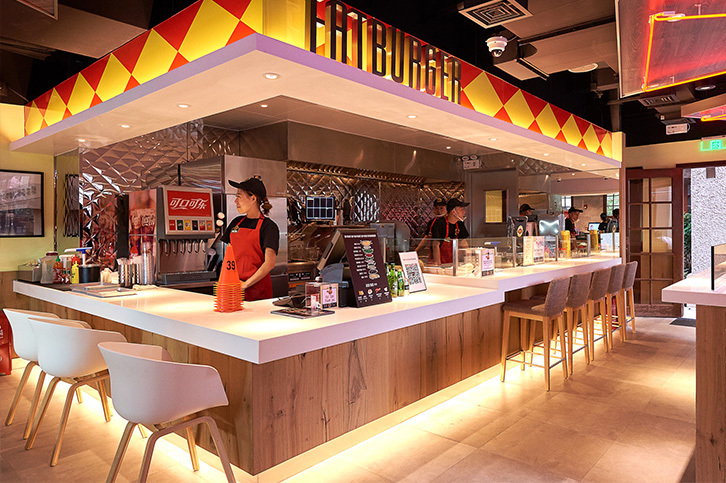 Similar to In and Out (and therefor, to Shanghai people, Caliburger), Fatburger serves Aussie beef patty burgers cooked as ordered. Pretty simple menu -- Baby Fat (30rmb); Single (45rmb); Double (65rmb); Triple (85rmb); Mushroom Swiss (55rmb); Smoky BBQ (55rmb); Deep Friend Chicken (35rmb). 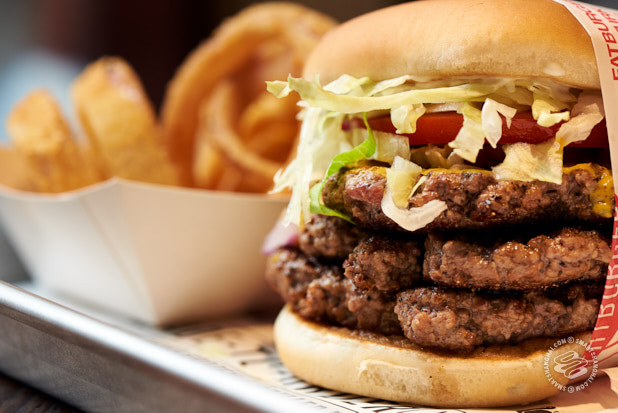 A cut above McDonald's and Burger King, Fatburger represents an alternative to Carl's Jr loyalists -- a new fistful of meat to stuff into your face and feel guilty about. They also do real ice cream shakes -- Chocolate, Strawberry, Vanilla (50rmb). First Impression: Yeah, it's good. It's not earth-shattering but it's good. Yup. The Shanghai Sinan Mansion one is in line with the brand, which is to say walking into it and eating a burger, you might as well be in Pasadena. There's no difference. For the Carl's Jr people, it's worth a trip out to try and make up your own mind. If I lived near here I'd probably eat here every day because I'm uncreative like that. Eff it. The shakes are great but feel expensive. The onion rings (20rmb) are super righteous. Don't miss those. 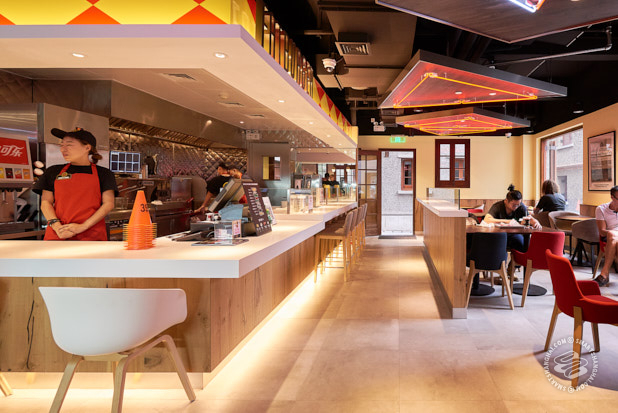 Quick Take:Amelia's opens their own cafe, offering their trademark jams and sausages, as well as an assortment of English comfort foods. What is it: Amelia's started as a homemade jam vendor back in 2009. They've got a permanent location at The Market, but this is their first stand alone spot, where they offer pies, eggs, quiche, and English breakfast sandwiches like the BLT, sausage and egg muffin, and chicken pesto. 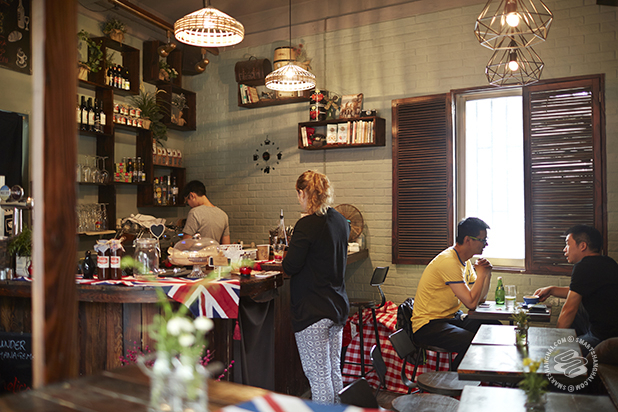 They have coffee by Jonas Emil Coffee Roasters, and deserts from The British Kitchen. In addition, they've got alcoholic beverages including Vedett and Fullers IPA on draft, and a small selection of bottles, wine, and basic cocktails. The food mostly ranges from 30rmb-45rmb, coffee is 20rmb-25rmb, and alcohol is 30-40rmb. 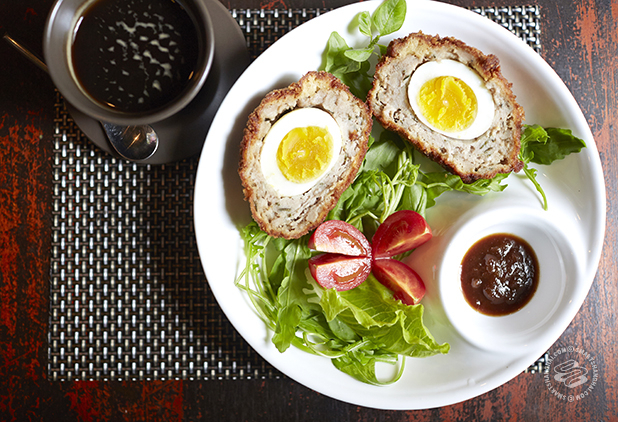 First Impression: A nice new spot on Julu Lu for breakfast or an evening beer. If you've been wanting proper English food in the area, this is it. Quick Take: A two-story fusion restaurant, taking over the mansion that formerly housed Via Modern Slow Cook. 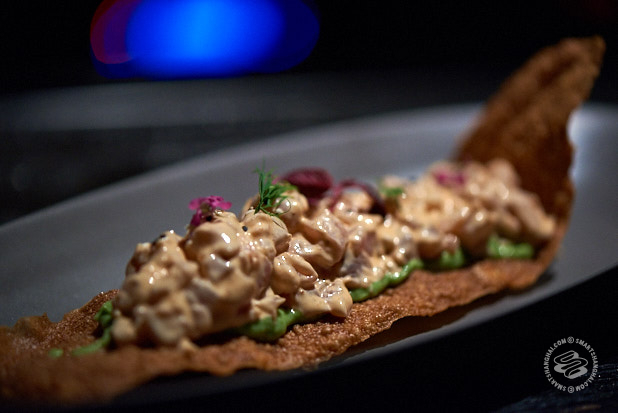 What is it: The first floor of Opposite is their darkly lit, black, tranquil bar, which only serves drinks and small bites such as olives (22rmb), marinated mussels (58rmb), assorted sausages (58rmb), and spicy tuna and avocado (138rmb). Their bartender is Allen Hsu, formerly of Flask, so you're looking at cocktails around 90rmb and above. The atmosphere and decor of the dining area of the second floor is very different, with overly bright lights and tight seating. The menu here has steak, pork shoulder, chicken, salads, and more shellfish. Dinner will run you around 250rmb-300rmb and they have a sharing menu with wine pairing for two for 856rmb. They also have a courtyard where they run a happy hour Wednesday-Sunday from 6-10pm, but if it's raining, you can't get the deal. First Impression: It seems that the restaurant's name "Opposite" is referring to the stark contrast between the bar and the restaurant. One feels like a speakeasy and the other, a cafe. That draws two very different crowds and it seems it may have been better to just focus on one concept.